Notes: Knight of the Garter. 1525 Viscount Rochford. 1528 Earl of Ormonde. Thomas Boleyn, or Bullen, was one of four children. He was the eldest - born when his mother was only twelve years old. He fought for Henry VII against Cornish rebels (who were protesting against heavy taxation) when he was 20. Thomas' marriage to Elizabeth Howard, daughter of the 2nd Duke of Norfolk (at that point the Earl of Surrey), was a brilliant match for him. Indeed, had the Howards not been under a cloud since they fought for Richard III at Bosworth, he might well have been considered unworthy of her rank. As the Howards were gradually rehabilitated, Thomas Boleyn's status rose with theirs. Thomas was knighted in 1509, at the coronation of Henry VIII. He was an excellent jouster, and took part in the joust celebrating the birth of Prince Henry in 1511 (the son of Catalina de Aragon and Henry VIII; sadly, he died soon afterwards). He was also a joint constable of Norwich Castle and Sheriff of Kent in 1512. As it happened, however, Thomas had a talent for languages - making him useful for diplomacy. Sir Thomas was useful; Erasmus considered him outstandingly learned. He was somewhat mean, but that was quite good in a diplomat, according to Fraser: "given the unorthodox way in which Ambassadors were financed". He was hard-working and industrious. Sir Thomas' first mission was to Margaret of Austria, regent of the Netherlands for Carlos V, to deal with the planned invasion of France. It was on this visit that it was arranged for Anne Boleyn, Sir Thomas' daughter, to spend some time at Brussel, in the Netherlands as one of Margaret's demoiselles d'honneur. 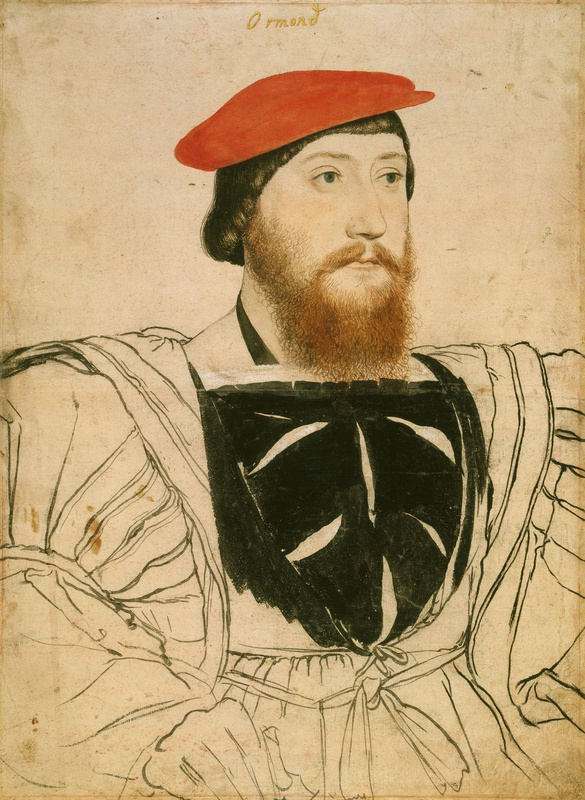 Sir Thomas was also the English Ambassador in France from 1519 to 1520. Anne would have been there also. He, therefore, was involved in the arrangement of the Field of the Cloth of Gold and was present there himself. He also went on to meet Carlos V at Gravelines with Henry VIII. This talent for languages and diplomancy may have been a family trait, handed on by Sir Thomas' great-uncle, the 6th Earl of Ormonde. He also spoke fluent Latin. Sir Thomas' elder (probably) daughter, Mary, was married off to Sir William Carey, a man with courtly connections, and one who might have become more important had he not died so suddenly in 1528. Anne presented more of a difficulty; the negotiations for her marriage to James Butler fell through, and her own romance with Henry Percy, heir to the Earl of Northumberland, led her into trouble. Of course, Sir Thomas benefited from his younger daughter's rise. While his title of Viscount Rochford predated Henry's romance with Anne, in 1529 he was made Earl of Wiltshire, and recieved the Earldom of Ormonde. He was also sent on several missions to try to ease the annulment along its path with Carlos V, François I and Clement VII (the Pope). Along with the Dukes of Norfolk and Suffolk, and Anne Boleyn herself, he was one of Henry's major advisers. Wiltshire did not try to help his daughter and son when they fell, however. On the contrary, he took care to denounce the alleged crimes committed by all accused. He even tried Brereton, Norreys, Smeaton and Weston for adultery with Anne, and found them guilty - although he was spared the task of condemning his own children. In all fairness, however, he could not have prevented their conviction. After Anne's execution, Wiltshire had to give up his office of Lord Privy Seal, and retired to Hever. He died in 1539, a year after the death of his wife, and is buried in Hever Church.